C-1-G Sunway Giza Mall, Jln PJU5/14, PJU 5, Kota Damansara, 47810 Petaling Jaya, Selangor. Passing by Curve, drive straight down towards Kota Damansara- you will see Sunway Giza shopping mall on your right. Turn right to get there. 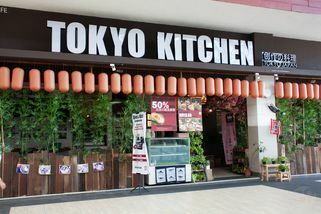 Located in the central area of Kota Damansara in the Sunway Giza shopping mall, Tokyo Kitchen brings you authentic Japanese cuisine straight from Japan. The restaurant occupies two floors and has a great patio seating area decorated with lots of beautiful greenery. They also sell souvenirs and trinkets from Japan—interesting and unique, for sure! 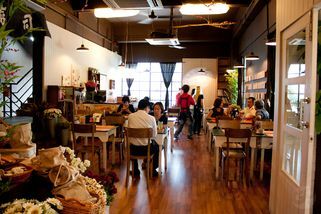 The food here is a blend of traditional mixed with local Malaysian cuisine. 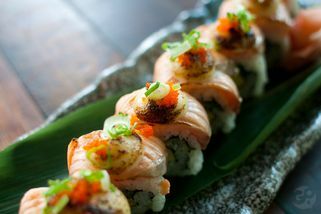 Whilst you can get authentic Japanese dishes such as sushi, sashimi, udon, and the like, there are also other dishes that are distinctly Japanese albeit with a Malaysian twist. 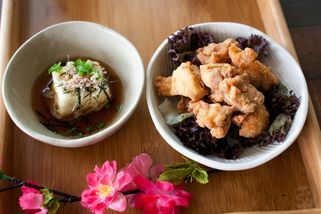 For those patrons who dine at Tokyo Kitchen during lunch hours, there are really great set lunch meals that are very value for money. Came here a couple of days ago with my family, and ordered 2 sets and 2 ala carte dishes. The ambience is pretty nice, but we sat inside and the place had this strange odour which smelled like pee. Not sure where it was coming from, but it wasn't pleasant. The food was good, very huge portions for the set meals. We loved their tofu and rice dishes. Kind of pricey at RM25-30 for each dish but the portions made up for it, I guess. This place has lovely decor. It's funky with a mix of old and modern elements. It's like one of those hipster joints but with more substance. The location is also easily accessible (just park within Sunway Giza itself). I love their food as well. 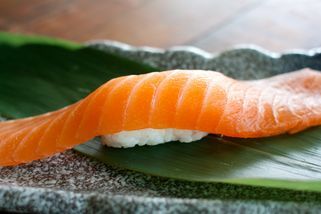 They have a lot of 'creative' menu items like sushi rolled with white bread instead of rice or the XXL Salmon Sushi which is about 10 times bigger than a normal sushi. It's HUGE. Spider Roll (RM19.80) - Softshell crab maki. The taste was good but maybe they can improve on their rolling techniques as the rice disintegrated when I tried to pick it up. Mango Prawn Temaki (RM7.80) - Prawn temaki with mango slices on top. It was an interesting taste, though I didn't really fancy it. Soft Shell Crab Temaki (RM7.80) - Nice but normal. Yaki Tamago (RM7.80) - Nice as a starter. Yasai Croquette (RM8.80) - Not good. Was served cold. Not sure if it's supposed to be that way or they messed it up. 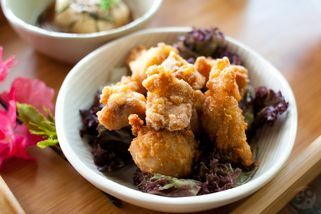 Mixed Tempura Don (RM15.80) - Generous portions of tempura and good quality rice. Loved it to the last bit! Recommended. Premium Green Tea (RM4.80) - A little expensive for ocha but it comes in a pot and serves 2 people, so I guess it's not too bad. Green Tea Ice Cream (RM6.80) - The perfect way to complete the meal. One scoop shared between two people. Nice. The most amazing thing about all of this is that they're currently offering 50% ala carte meals. So our bill came up to only RM50 total for all of the above. This only applies for diners who come in after 9.30P.M. We're usually late diners, so it was a perfect fit for us. My advice: GO! Go while they're still running this generous offer. 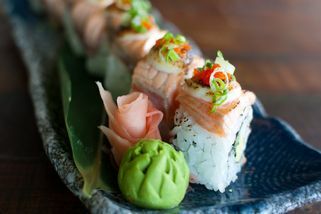 I'm definitely going again, especially to try out their range of 'creative' sushis.